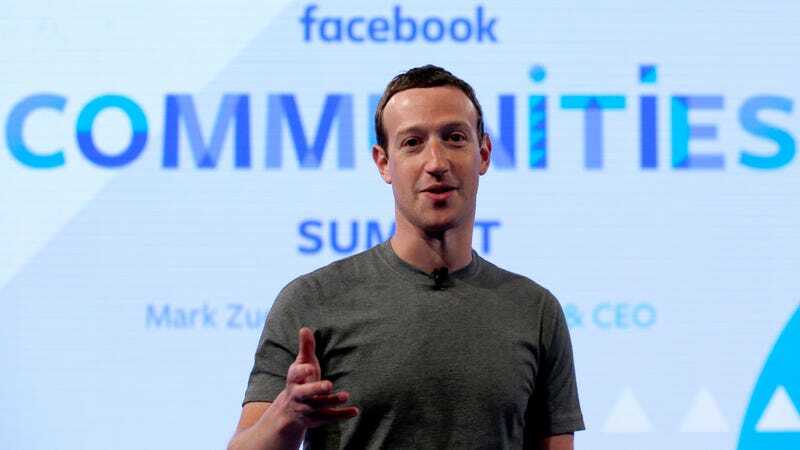 Facebook CEO Mark Zuckerberg publicly claims he is not preparing to run for president, despite the fact he has spent an awful lot of time traveling around the country in an effort to understand the little people. So news from Politico that Zuckerberg has secured the services of Democratic pollster Joel Benenson, one of Barack Obama’s chief advisers and chief strategist to presidential candidate Hillary Clinton’s disastrously failed 2016 campaign, probably just indicates he wants to compile in-depth statistics on the party affiliations and political views of people across the nation for completely normal, regular person reasons. Other people Zuckerberg has hired for average dude purposes include former Virginia Gov. Tim Kaine’s communications adviser Amy Dudley and 2008 Obama campaign manager David Plouffe. All of these developments are definitely not evidence Zuckerberg is investigating whether the ideal candidate to run against Donald Trump in 2020 is a technocratic centrist best known for fueling Silicon Valley gentrification and being generally clueless about how people who are not Palo Alto, California billionaires live. It’s also definitely not evidence Zuckerberg thinks the best people to examine that idea are closely affiliated with a Democratic political establishment that was ruinously discredited last year and in desperate need of new ideas and leadership. So, again, there’s no reason to be concerned about that. None at all.